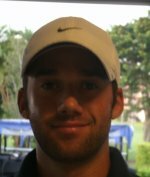 LAKE WORTH, Fla. - 2016 Web.com Tour member Ben Silverman of Thornhill, Ontario, came back from a bogey on the short 18th hole by making par on fourth playoff hole Tuesday to win for the 32nd time on the Minor League Golf Tour. 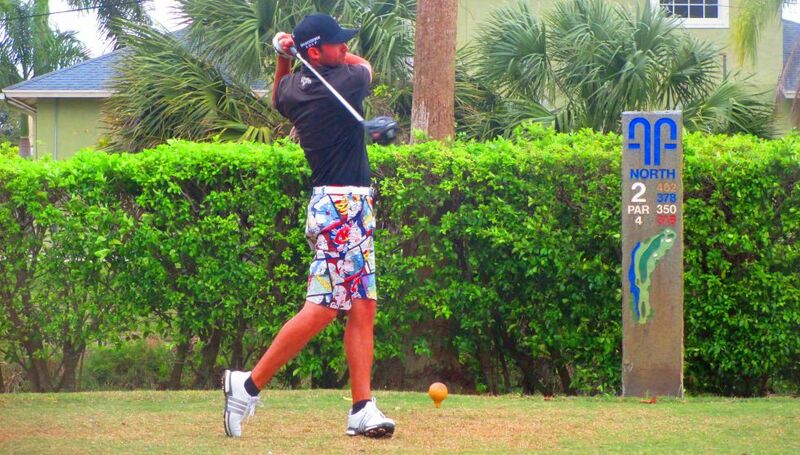 Following a round that included five birdies on the front nine, an eagle at the par-5 11th hole and two bogeys, Silverman outlasted Jhared Hack of Sanford, FL after they tied at five under par 66 on the North course at Fountains Country Club. Hack did not make a bogey until his 22nd hole. In the playoff, they halved the par-5 first hole with birdies, the second and third with par-4's and par-5's. At the par-4 fourth, Hack's 40-foot birdie putt went well past the hole, Silverman two-putted for par from 15 feet and won when Hack missed his par putt from about eight feet. The rain started coming down pretty steady during the fourth and final sudden death playoff hole (pictured below). Silverman, a regular on the MLGT since September, 2010, received $1,000 from the $6,615 purse, raising his career earnings to $120,025. Hack, an occasional MLGT entrant, collected $725 for second among 49 players. He has four wins and $16,549 since December, 2008. 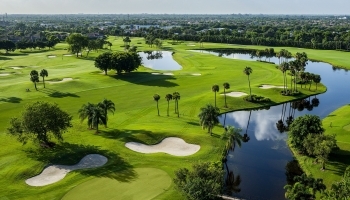 Next on the MLGT schedule: Thursday, Martin Downs CC, Palm City, and next Monday (Feb. 29), Parkland CC in Broward County, which will be the 18th event of the year.